o other factor was as influential in determining the size and type of engines and rolling stock that Lionel issued during the Post War Period than the type of track that was produced. O27 Gauge Track was acquired by Lionel when in 1927 they absorbed Ives Trains. This track’s notable feature was that it has the sharpest curves. Eight sections of curved track describe a circle that is 27 inches in diameter. O Gauge Track will not mate with 027 track because it is one-eighth of an inch higher and eight sections of curved track create a circle that is 31 inches in diameter. 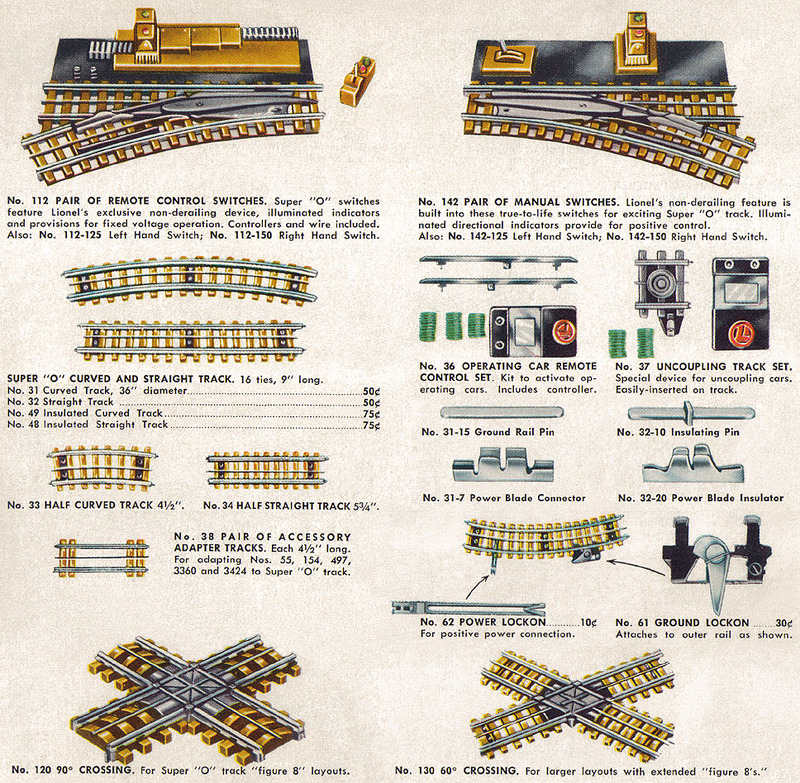 Super-O Track was first available in 1957 and will not mate with either of the "tubular type" of track issued previously. Twelve curved sections of this track make a 36 inch diameter circle. 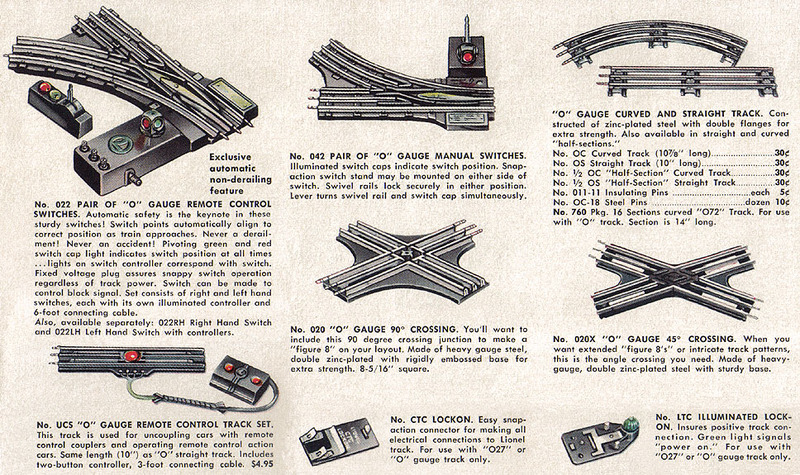 Because of the tight radius (for O Scale) of the curved sections used by all of these tracks, Lionel was limited by the length of the engines and cars that could be run on these tracks. Lionel frequently employed what has become known as "selective compression" of these engines and cars. Selective compression reduces the size of this equipment by uniformly shortening their length while giving the impression of being a full sized model. This is especially apparent on engines like the GG-1 and the 2400 Series Passenger Cars. With a few notable exceptions, like the 773, all of the Lionel engines and rolling stock produced during the Post War period were slightly smaller than 1/48 — actual O scale. Today, these sized trains are referred to as "Semi-scale." We’ve illustrated the types of track below and have offered additional details on some individual sections and track accessories in the Numerical Index.